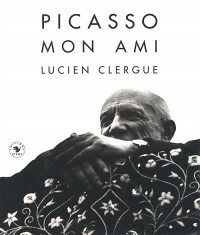 An intimate glimpse into the life and work of Picasso, as chronicled by his friend, Clergue. Photographs and text in French by Lucien Clergue. Additional illustrations of work by Pablo Picasso. Four color and black and white plates throughout.